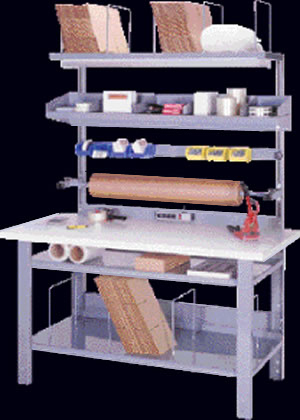 Stackbin Packing Stations are perfect for all shipping departments. Super tough and height adjustable from 34"-39"
photo (does not include packing supplies or plastic bins). Built using 13-16 gauge steel and 1-3/4" solid wood tops. Colors: Gray, blue, green, beige and black. Plastic laminate top colors: gray and white. 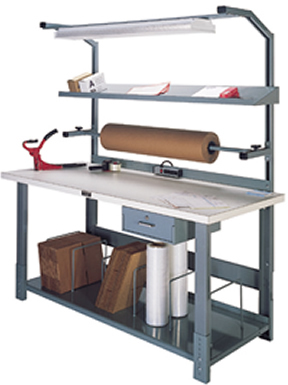 Steel Bench, Workbench, and Workbenches from your source for material handling equipment.